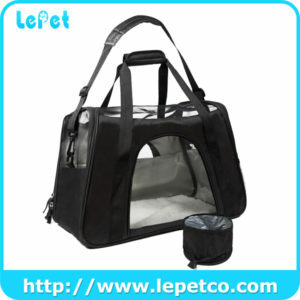 Pets love this soft carrier with its padded interior. 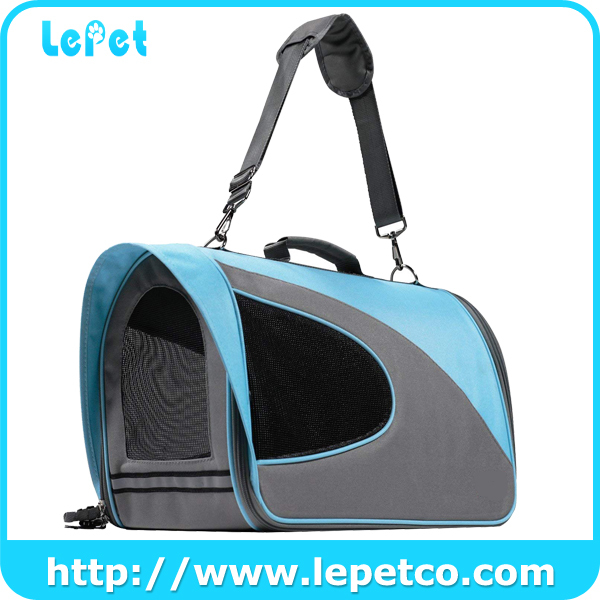 Hard-floored carriers make pets feel unsteady as the carrier is jostled about, increasing their stress level. 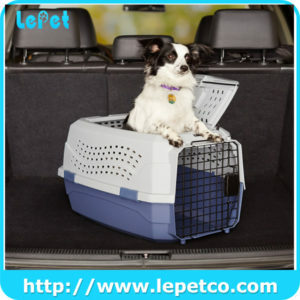 Many owners have reported that their pets who hate other carriers are happy to settle down and take a nap in this one. 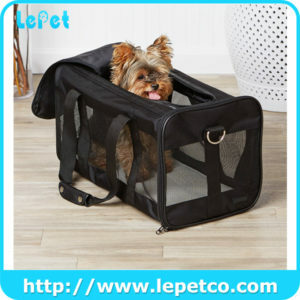 It is soft, light weighted, and can be folded flat for storage; this carrier is sturdy and durable. The floor is firm underneath the padding, so it will not collapse under very heavy cat or dog. Waterproof material makes it easy to clean inside and out. There is a suitcase-style carry-handle, and also an adjustable padded shoulder strap for long hauls. 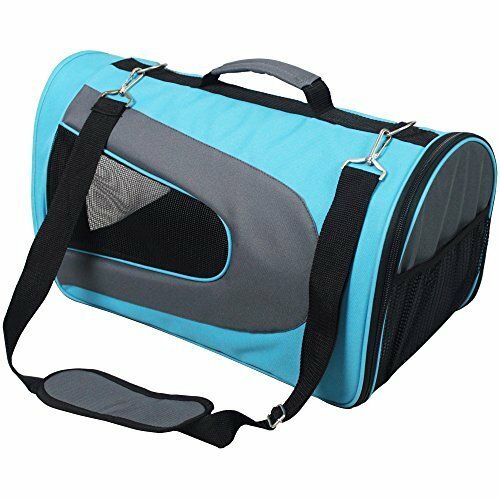 If you are worried that your pet might "make a dash for it" as soon as you open the carrier, there's a short leash attached to the inside of the case that you can clip to a collar. 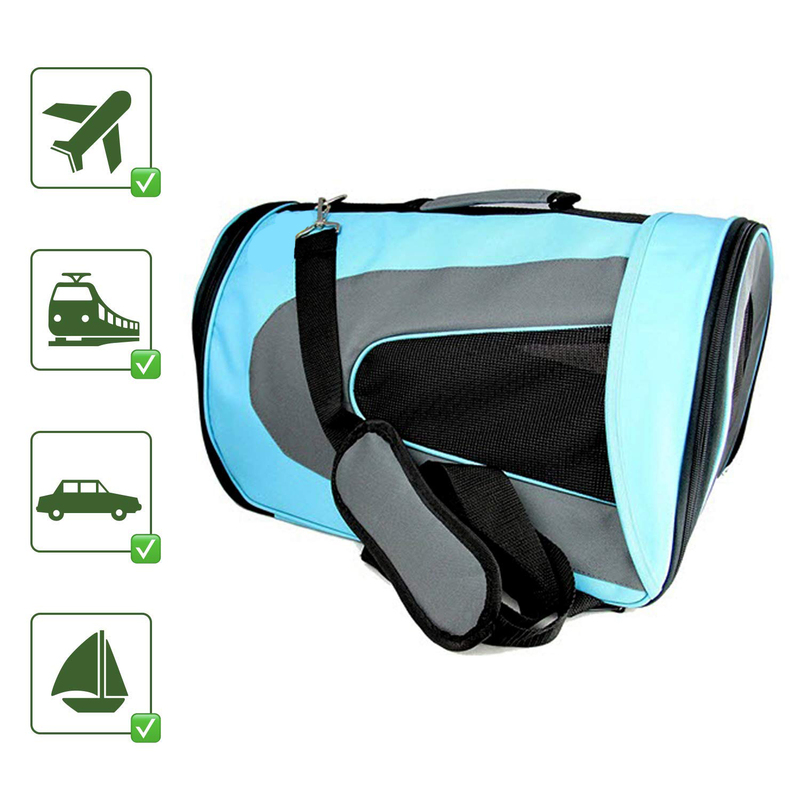 A mesh pouch on the outside gives you a place to store a leash, a bag of treats, or other travel necessities.